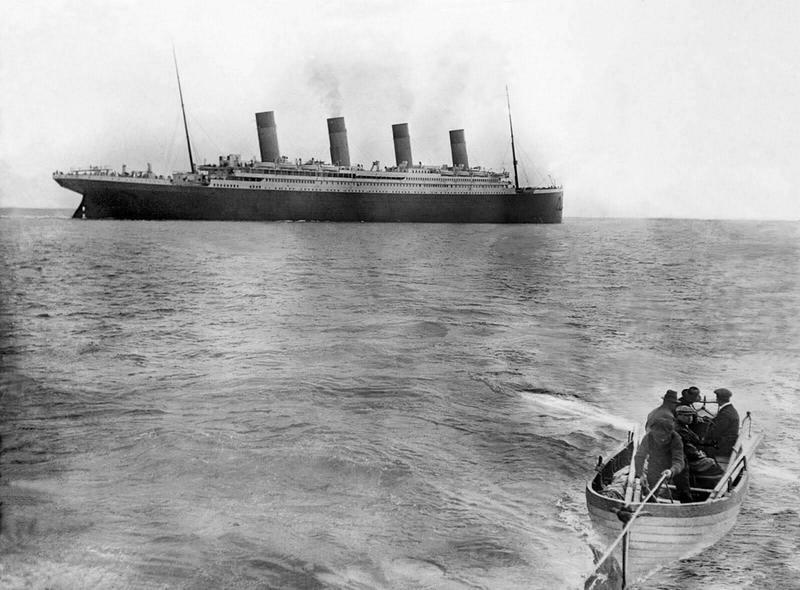 This photograph is the last known picture of RMS Titanic on the surface of the ocean. It was taken during her maiden voyage at Crosshaven, Ireland, just after the vessel departed Queenstown where it had stopped before heading westwards towards New York. Three days after this photo was taken 1,514 people would perish and the Titanic would be on the bottom of the North Atlantic after colliding with an iceberg in one of the deadliest peacetime maritime disasters in history. According to Time Magazine this photo was taken by Irish Jesuit priest Francis Browne who sailed with the ship for the first leg of its journey, from Southampton (England) to Cobh (Ireland) then called Queenstown. The priest would have stayed for the remainder of the transatlantic journey too, having received an offer of a ticket from a wealthy family he befriended while on board. When Browne reached Cobh, however, he received a note from his clerical superior, ordering him to return to his station immediately rather than sail on with Titanic.